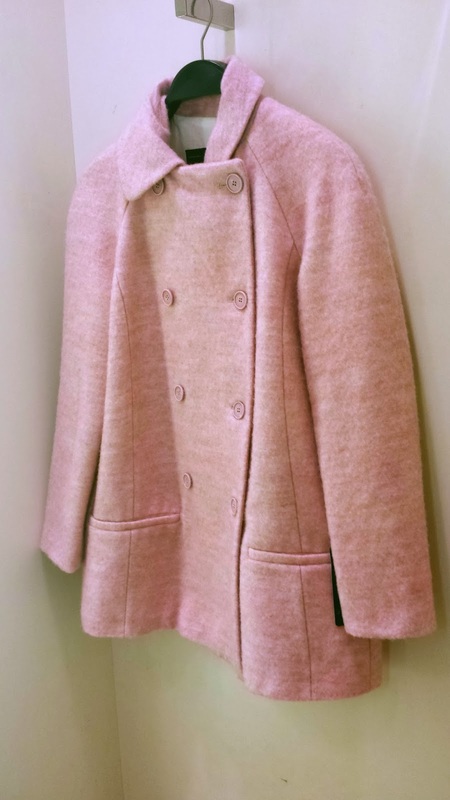 The trend in the coats department is marshmallow pink, I used to only invest in a neutral colour coat which is grey, black, navy blue or beige .. But a pop of colour is always welcomed to inject into winter's greys.. 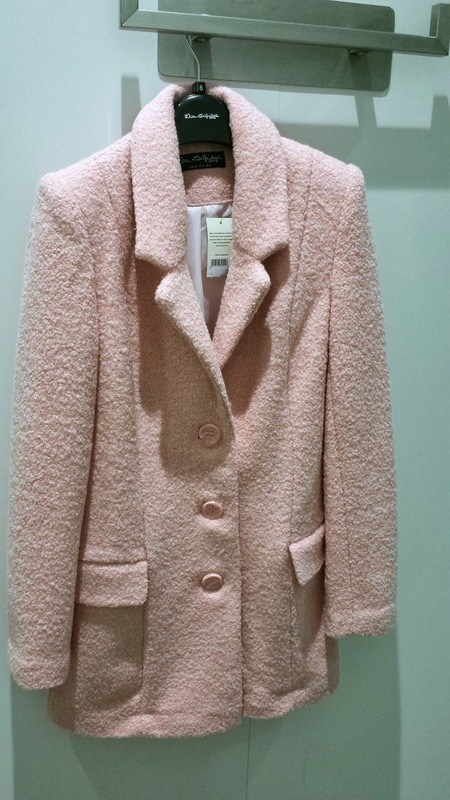 The first one was at Miss Selfridge, and it's been ages since I've set foot there the colour of the coat was pretty nice and material was super soft but perhaps for a dressing gown not for a coat..
Second stop was Zara, I wasn't too hot about it but it looked pretty decent on and I made my friend try it on as well to see how it looks on someone else.. 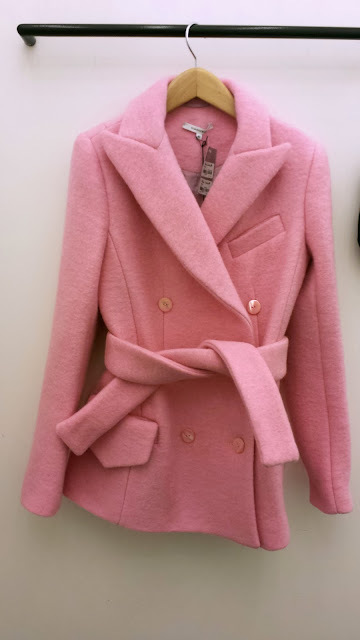 The last one which happens to be my favourite, not a high street buy and comes with a higher price tag than the two above is Carven the length is perfect and the fabric is soft and warm and could be worn buttoned up or opened minus the belt with a skirt or a pair of tapered pants..
Not convinced enough with pink? How about checking out how other Soraya & Michelle styled theirs..